Halloween is never complete without reading or listening to a scary Halloween poem. Halloween has evolved throughout the centuries to be more of a fun holiday to participate in fall festivals, decorate your house, watch scary movies, read or recite Halloween poems, have Halloween parties, walk through haunted houses and dress up in Halloween costumes to go trick or treating to get candy. In fact, Halloween has an interesting history full of customs, tradition, symbols, poems and fascinating to learn about. Here you will find a collection of Halloween poems for kids. 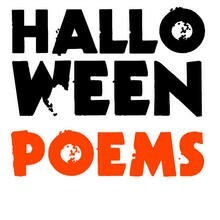 There are many more poems and stories you can search online about Halloween. Reading about Halloween history, facts, poems and stories is a fascinating way to learn about this creepy but fun holiday. Your local library often has Halloween poetry, Halloween tales and stories to share during the month of October or you can check out some Halloween poem books yourself to read at home.